David Lynch has been fairly slow to leak new material from his forthcoming new season of Twin Peaks, so we've been taking what we can get. Today, that means we spent five minutes watching a ridiculous hotel ad. It's no secret that Lynch loves meditation. 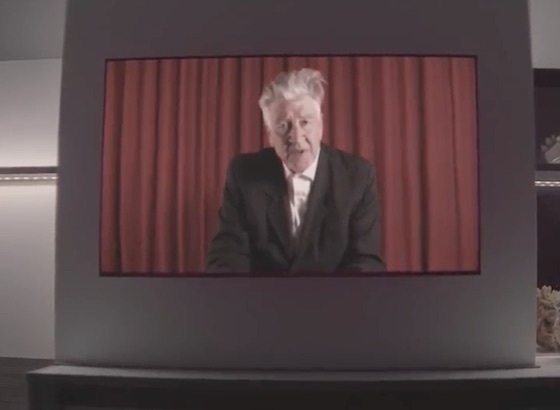 Apparently that works well in the marketing world, too, as Lynch teamed his David Lynch Foundation with Dazed Media to create a short film to promote a new bougie hotel called the James West Hollywood - Sunset. Directed by Shaniqwa Jarvis, the five-minute film serves as both an ad for the hotel and an important reminder that good-looking, well-connected people have absolutely no self-awareness. The clip is full of enviable cheekbones and fancy street fashion as a group of important people discuss living in the "super now." In addition to an appearance from David Lynch and a voiceover from Kyle Machlachlan, the clip features musician James Fauntleroy, BARR's Brendan Fowler, singer Nia Andrews and director, artist and Life of Pablo merch guy Cali DeWitt. If you want to learn that the secret to a peaceful life is that you should have a nice easy morning (perhaps quit your job? ), watch the video below.